In the spring of 1980, a group of twenty people interested in the growing of orchids met to begin the formation of a local orchid society. 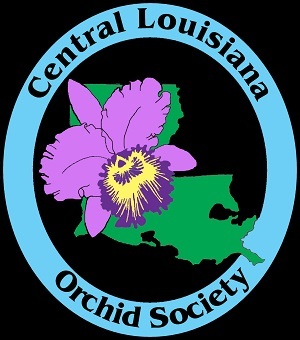 The Shreveport Orchid Society volunteered to accept the new society assisting the group in the official formation of the Central Louisiana Orchid Society. The group elected an Organizational Chairman and its first president, Byron McGraw. Two years later, the society became independent and incorporated in January 1982. The mission of the CLOS is to promote fellowship among orchid enthusiasts and to educate others in our area on ways to conserve, cultivate, and hybridize orchids. Today, we have members from all over the state with a wide range of orchid growing experience. 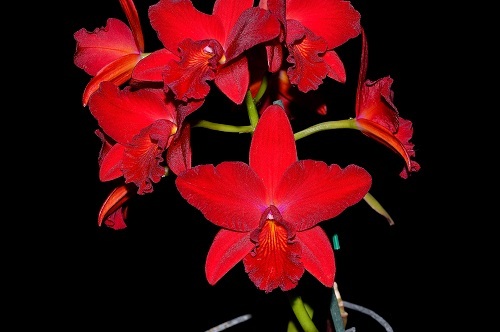 The CLOS is an affiliate of the American Orchid Society(AOS), the Southwest Regional Orchid Growers Association(SWROGA), and the Orchid Digest Corporation. We meet monthly on the third Sunday of the month in the Youth Building at St. James Episcopal Church in Alexandria. The meetings normally consist of a short business meeting, refreshments, and a program. For more information on meetings and becoming a member, please see the Meetings and Membership page. 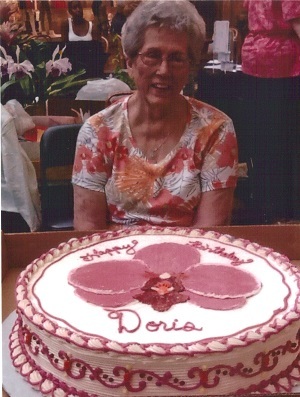 Member Doris McGraw on her birthday. First President and founding member Byron McGraw. between the Kisatchie National Forest to restore the rare native Cypripedium kentuckiense back on appropriate sites in the national forest. This is an on-going project and the latest studies and research can be found on the Cypripedium Study page. throughout the year. Points are earned by attending meetings and bringing plants for Show and Tell. Members vote monthly on the plants for Best Grown and Best Flowers on the Show and Tell table. 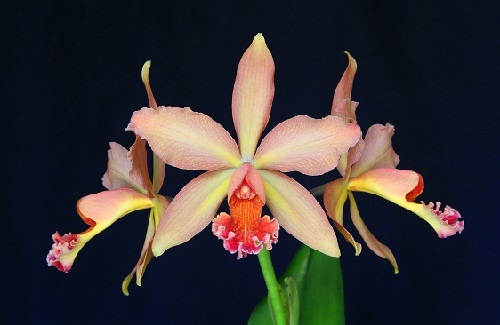 Points are also given for overall Best Grown plant, and for First, Second and Third place flowers in the Cattleya division and the Other Genera division. This trophy is given to the Best Cattleya Alliance Flower exhibited by a Central Louisiana Orchid Society Member in our CLOS exhibit at our annual show. This trophy is given to the Best Grown Orchid exhibited by a Central Louisiana Orchid Society Member in our CLOS exhibit at our annual show. The local judging center for our area is located in Shreveport, LA. Orchids may be brought for judging on the fourth Saturday of the month no later than 1:00pm. For more information, click here.